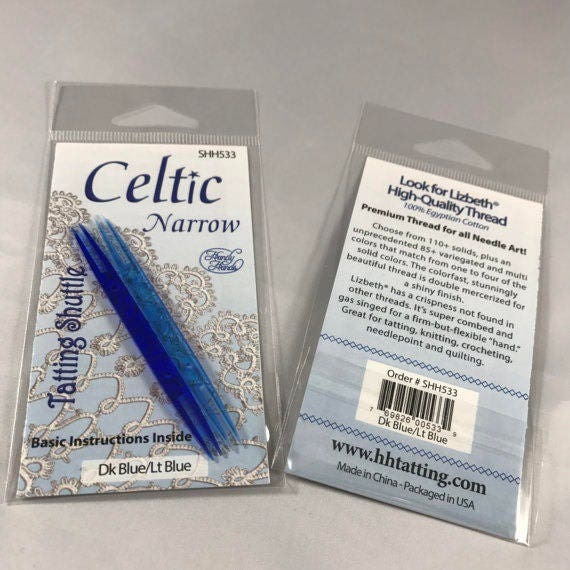 Celtic Narrow Shuttle with basic instructions written by Patty Dowden. It is 2.75" long x .25 wide. Made of acrylic plastic.